Mechanical systems, regardless of how efficient or effective it is in carrying out its role, needs a level of maintenance in order to have it remain in optimal working condition. 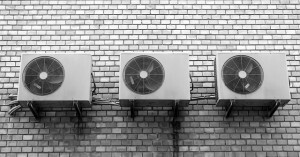 Air conditioners are indispensable during the sweltering summer, and basically anywhere else around the globe that receives plenty of strong sunlight all year round. 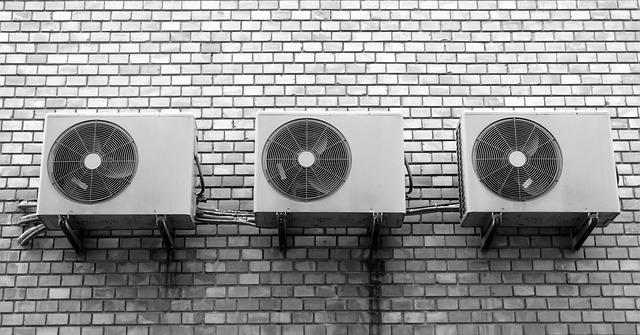 While air conditioners are hardy on their own, they would be able to last even longer if the proper maintenance and scheduled services are performed. As the air conditioner not only reduces the home’s temperature to a cool and comfortable level, it will also help maintain a clean and fresh internal atmosphere. This is made possible via the air filter. An air conditioner filter can come in the form of aluminum mesh, foam, woven polypropylene, non-woven polyester or non-woven polyester with activated carbon. On window units, the air filter would be located right under the front inside air intake grill of the air conditioner. Its main function would be to remove dust from the air drawn in from the outside to be cooled and then circulated through the room. 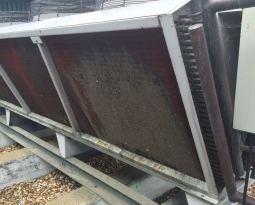 The other function of an air conditioner filter would be to protect the unit’s internal components from collecting and being coated with dirt and dust. Using a filter made of non-woven polyester with activated carbon helps filter out odors as well as dirt and dust. A home window air conditioner’s filter is obviously different from that of central air conditioners. 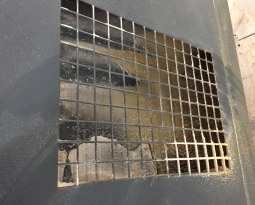 For the latter, its typical 1″ thick filter tends to be installed along the return duct. 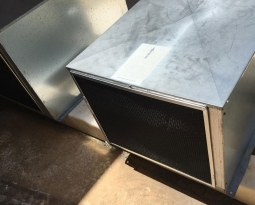 Some of the more common places where filters are located also include being within wall or ceiling vents, furnaces, or even wrapped around the outside air conditioner condenser itself. It is highly advisable to clean or replace the air conditioner’s filter once a month or on a bi-monthly basis if they are put through the daily grind. Additional attention should be paid if the area in which you live in is particularly dusty due to construction works, city street traffic or a highway artery located right close to your home. Having pets in the house would also contribute to clogged airways in your air conditioner’s filter faster than normal. 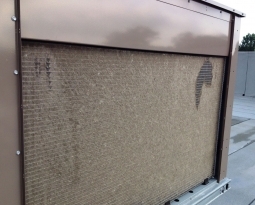 Any air conditioner filter that is clogged or dirty will reduce the amount of airflow, and hence cause the system to work harder and deteriorate the system’s efficiency. 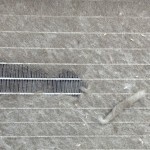 Whenever regular airflow is obstructed, whatever air that goes through the filter would be dirtier than it should, and this will negatively impact the evaporator coil’s heat-absorbing capacity. While washing or replacing your air conditioner’s filter regularly is a good practice, you should also look into replacing it for a new one that fits your lifestyle best. A good quality filter will do more than just provide cleaner air — it will also help you save more in the long run as the level of energy consumption could be reduced by 5% to as much as 15%. Replacing your air conditioner filter is one of the easiest DIY jobs that you can perform around your home. Unfortunately, not too many people do so because they find it to be a tedious task or just forget about the air filter because it is out of sight. Bear in mind that the additional cost incurred from a dirty and clogged filters or air conditioning air intake coils will result in a far higher electricity bill at the end of the month, which would cost more in the long run compared to getting a replacement filter. 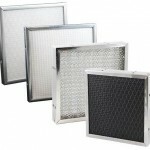 Permatron has the balance of expertise and experience in designing and manufacturing air conditioner air filters. Give us a call today and see how we are able to assist you.